The success or failure of a company, putting aside the random factor of luck, is at least 70% attributed to the founder. Many management books and business case studies have discussed about the importance of the founder in the success of a company. Some of the most successful companies in the world are helmed by larger than life founders such as Steve Jobs of Apple, Jack Ma of Alibaba and Bill Gates of Microsoft. Successful entrepreneurs usually possess some common traits and abilities namely: marketing and business development, business acumen, management capacity, strategic and operational capability. Almost all of the most successful entrepreneurs in the world are masters of marketing and business development. Salesmanship and self-promotion is a skill that founders need to possess. A CEO or leader of a company without any sales and marketing experience usually falls prey to the vagaries of the marketplace and competition. With a good acumen on the art of sales and marketing, a founder can overcome many other weaknesses such as operational and cash flow constraints by continuously coming up with product positioning, customer segmentation and marketing strategies to drive top line revenue. Business sense is often forged out of experience in the field and is a kind of intuition a seasoned entrepreneur possesses. A leader with good business sense can make timely and pragmatic decisions. Business acumen is usually forged over years of front line experience in the trenches and rarely comes intuitively to an individual. A good entrepreneur knows when and what to focus his limited resources on and what are the trivial matters to be delegated. He/she has impeccable timing and the uncanny ability to capture just the right timing for expansion and when to exit investments before an economic drought. A businessman with a strong business sense often can spot trends most do not see and act on them decisively at the most opportune time. Management is the art of people management, the establishment of authorization and control systems, and the implementation of corporate standards in a company. Good management should firstly ensure that the responsibilities and scope of every role in the company is clearly defined. Management ability is not directly related to business operations. It is the continuous refinement of an organizational structure, values ​​and corporate culture development, all of which should galvanize the organization’s self-evolution ability to correct course in the event of crisis and mistakes. Simply put, the management capacity of a competent entrepreneur lies in the management of the value chain, optimizing resources of the business and institutionalizing the standards set out by the founder. Often, there is too much emphasis on business execution especially in new start-ups, ignoring the management capacity and governance capabilities of the founder to enhance the culture and systems of a company. This results in an enterprise that is perpetually in high-speed running mode but inevitably fall midway through the race as their shoelaces come undone. Why do some entrepreneurs whom have great business acumen and management capability still fail? These two factors are the basic skillset any business leader should possess. Most entrepreneurs whom possess these two abilities eventually still fail due to lack of strategic vision. Being strategic in business planning does not mean putting on paper what I want to do and achieve. That is a wish list. A strategic thinker should instead be contrarian and ponder on what I can’t do at this moment. If I can’t achieve this particular business goal now with the resources on hand, then under what circumstances could I accomplish this? If I can achieve this goal right now, what are the concrete next steps I have to take to reach the goal? A good business strategist is also creative in coming up with solutions in a different angle. For example, most small businesses commonly face hurdles with funding and securing business loans. A resourceful founder will take a creative approach to financing and explore new ways to optimize the use of limited funds and resources when cornered in a tight situation. Being observant is a common trait for leaders with good business acumen and strategic ability. A good strategist is objectively clear about the current capability and culture of his company, resources, team and the competitive landscape of his industry. However, some one whom can strategize well but lack executional ability can only engage in fruitless mental stimulation. That is why most university professors lecturing on business or finance subjects have never run a successful enterprise before. Most successful companies are successful sales and marketing teams and most companies that fail, usually fail due to lack of sales initially but at later stages, fail due to lack of execution ability. In the context of a war, the sales environment is the battle ground, management is about instilling discipline and improving morale of the troops, strategy involves deciding which battles to fight and deployment of troops, while operational ability is the combat readiness of an army. 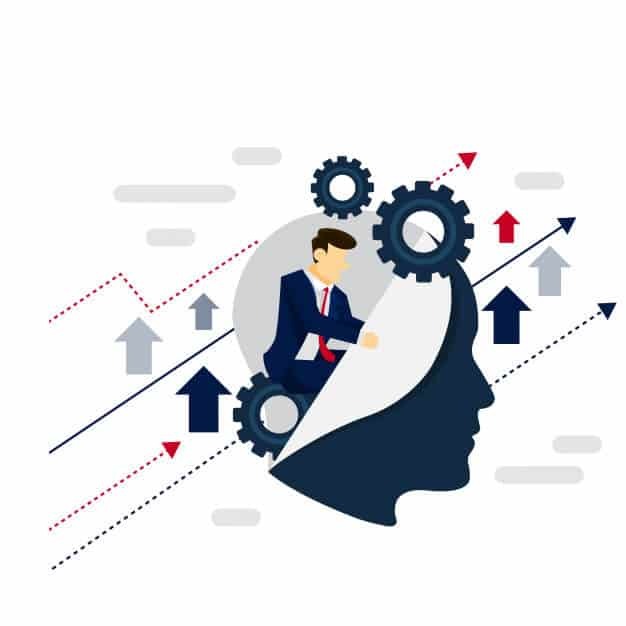 In the context of running a business, the configuration of the various departments, standards imposed on personnel development, costs control mechanisms, allocation of resources, capital acquisition, inventory risk control, realization of financial goals, are all within the scope of operational execution. Some companies can experience year on year revenue growth with decent gross margins yet seemed to be always cash constrained. This usually happens because of net losses and cash flow depletion. The underlying reason of failure can be attributed to losing control of business costs and the haemorrhaging of cash flow. These are indicators of poor operational execution ability from the management. The ability to rally your team in implementing your business plans and executing your strategies is an extremely critical success factor. Some of the best run and well managed companies were not the first in their industry to come up with their business model. They merely adapted an existing idea and executed it better than the incumbents. Google is not the first search engine nor was Apple the first to come up with the smartphone (IBM did). Google and Apple went on to dominate their respective market becoming global brands due to their ability to execute better than their competitors. It is rare for an entrepreneur to possess all the above mentioned 5 traits and abilities. However, if a founder has at least 3 of the above attributes, he can still partner with a suitable co-founder to complement each other’s strengths and weaknesses. Founders without sales and business development background are usually not inclined to spend too much resource on marketing and sales activities. However, you must pay heed that in a healthy growing market, new sales acquisition of customers should make up at least 30% of total business. Without being able to meet this ratio, the company is likely to be losing growth. If new customer’s acquisition growth ratio is more than 30% but revenue growth is still stagnating, it might be an indication that the company’s product or services are not able to retain users and the company is too reliant on new customers to maintain survivability. Whether if you are running a mature company or a new start-up, once you’ve identified a new line of business and segment to break into, 2 processes must be adhered to. Firstly, careful due diligence and analytics of data on hand must be undertaken. Do not blindly rush headlong into all and any opportunities that present themselves. Secondly, after pre-assessment feasibility studies have been conducted and you’ve identified that this new segment is worth pursuing, you should go all in. Do not be half hearted and just allocate a fraction of resources for sales and marketing. Be confident in your judgement. Most of the most successful entrepreneurs such as Steve Jobs and legendary investor Warren Buffet do not start out with multiple diversifications in various lines of businesses. They take concentrated bets and focus their resources on just one or a handful of identified business segments before parlaying earlier success to other new products, services or market segment. Most successful small and medium sized businesses own their success not in coming up with the next big innovation but in long term cultivation and refinement of their processes and business model. In increasingly globalized trade with closely interlinked economies, competition will only continue to intensify. To remain competitive, an entrepreneur has to make fewer mistakes then their competitors. When you and your competitors are both not making mistakes in certain processes, aim to execute just 10% better than competitors. In this long ploughing process of gradual improvement, you will slowly but surely emerge best in class. All businesses eventually should have the same common goal: Coming with up with the best product or services to solve the biggest problem of your target market. What kind of problem does your product or service solve? The bigger and more painful the problem you can solve, the better the market will reward you. Find out what is the real underlying problem you’re trying to solve for your customers? Continue to strengthen your value proposition and improve your solution to this problem incrementally until you have the best solution in the market. Once you have a well refined product or service that can adequately solve the most pressing problems of your target market, other corporate goals such as attaining higher business valuation and revenue growth plans, attracting investors and SME loans etc. will eventually fall into place. Managing employees is one of the most common issues many small and mid-sized business owners face. Value of employees can be quantified by their output, but beyond the quantitative criteria, how do we measure other qualitative factors of employees? For example, there might be some staff whom in addition to their own job scope can help to generate additional income, or through their own methods or resources help the company bring costs down. But if the company begrudges in recognizing such behaviour and reward these employees accordingly, then how many people will go “the extra mile”? Therefore companies should have systems in place to reward employees whom takes initiatives that benefit the company. This is also the case for managing staff remuneration, from rank and file employees to upper management executives. Many SMEs lament the fact they can’t compete with big industry conglomerates and MNCs when it comes to paying competitive salaries to top talent. If the value of a person’s output (not necessarily the income, perhaps the cost savings) is high enough, his salary should be correspondingly higher than the industry average. And if the value of an employee’s output is lower than the average, even if his/her salary is lower than the industry level, having this employee on the payroll at all is a waste of resource. When coming up with your company’s compensation plan, do not use a one-size-fits-all package. Instead, measure all employees’ output and reward those who can bring the most value to the table. Cultivate a culture for talent retention and attract the best people possible in your market. A successful company requires not only strong leadership but also a capable supporting team as well. You can’t build an empire alone. A CEO must also have the capability to put together a team to drive and manage the business forward. To attract and retain top talent, you would first have to build a core team. That means effectively delegating and outsourcing non-core essential functions during the start-up phase while focusing your resources on key functions such as product development and sales marketing. Establishing trust between the founder and the core team is essential for synergy and team dynamics. Employees must feel secure that the leader recognizes their individual talents and plans to provide a pathway for further development and progression. The CEO must also trust the team to manage their respective job scope and not micromanage too much on every single detail. This is especially so when managing millennials whom will be the workforce of the future. Lastly and most critically, both the CEO and the team must share a common vision which is to drive the company forward to attain its corporate goals. In today’s business context, changes are occurring at almost lighting speed. The intensity of competition is much more brutal in an increasingly connected and globalized world. Start-ups such as Uber and Alibaba could reach the same company valuations in 3-5 years what might take traditional global conglomerates 20 years to do so. In this situation, the composition of luck in business success is getting higher and higher. While luck will favour outstanding entrepreneurs, it is still a random component that might eventually separate the winner and losers. In this winner-takes- all game played by elites, Pareto’s law of 80/20 now resembles closer to 95/5. The network effect and early monopolization of the industry by the company that executes the best can be seen in companies that dominate their markets such as Google, Facebook and Netflix. This is a game of the elites, but not in the conventional sense of the word. Joining the ranks of business elites today is not dependent on your background, but on your personal qualities and ability level. And coupled with just a tinge of the luck factor, you should be on your way!